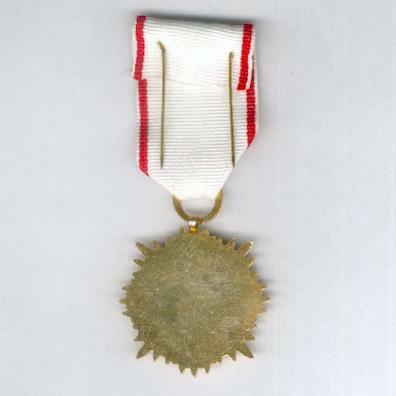 Gilt bronze-edged red enamel Geneva (Greek) cross with gilt bronze rays between the arms, with loop and ribbon ring with laurel wreath decoration for ribbon suspension; the face with a silvered Polish eagle imposed centrally; the reverse plain with slight wear marks; on possibly replaced correct ribbon mounted for wear in the French style. 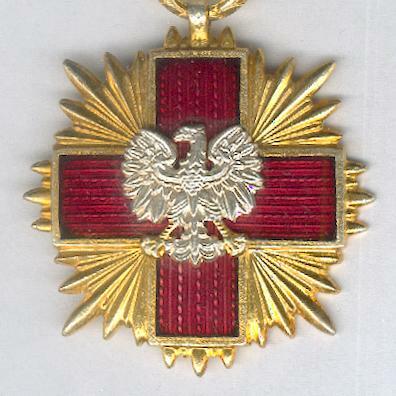 The Decoration was instituted on 11 January 1929 and modified in 1937, 1945 and 1990. 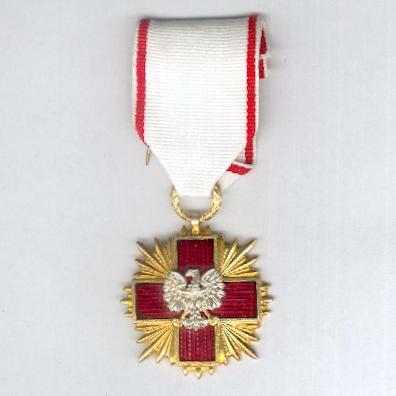 It is awarded for meritorious service in the Polish Red Cross. 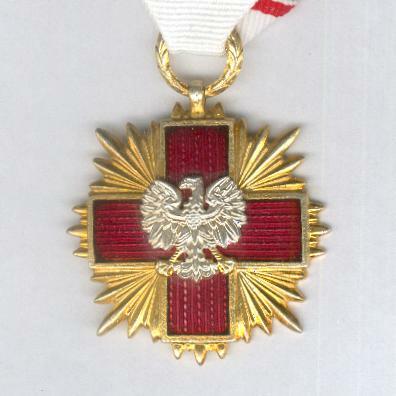 This example has an uncrowned Polish eagle and thus dates from the period 1945 to 1990. 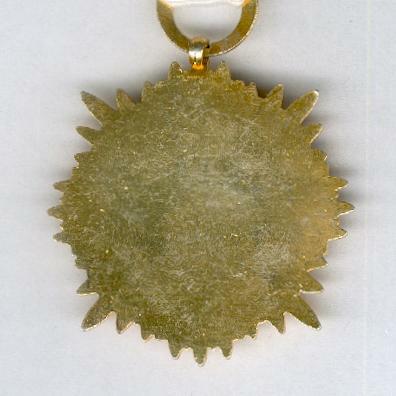 A good example.